If you are the awesome Donna Williams of Funky Junk Interiors and Old Sign Stencils fame, you make rustic wooden Christmas stockings like these! If you are Carlene Blair of Organized Clutter, you take the easiest route to a rustic wooden stocking. 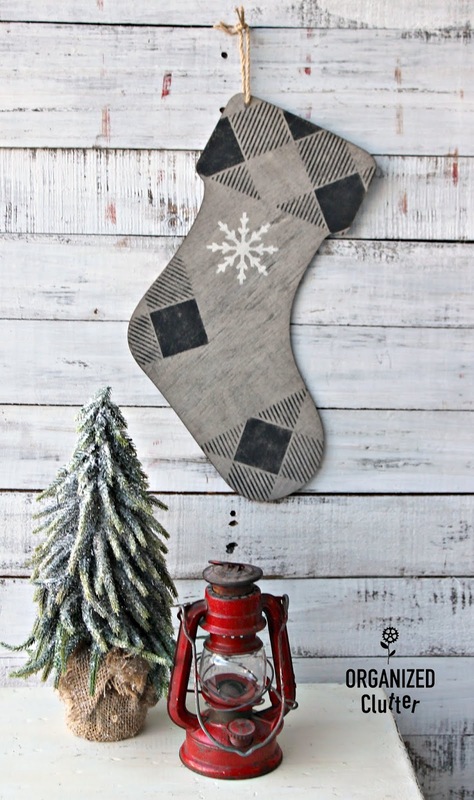 You start with this Hobby Lobby wooden stocking I purchased last Friday for 50% off of the regular price of $5.99. First of all I don't have ready access to great, inexpensive reclaimed wood, and I could not cut a curved heel and toe. 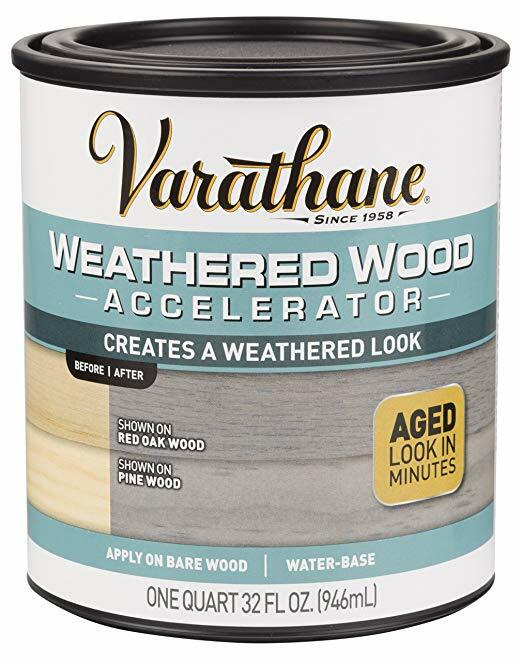 But I do have ready access to Varathane Weathered Wood Accelerator . I applied three coats of Weathered Wood Accelerator to get the right shade of gray from the very light wood stocking. 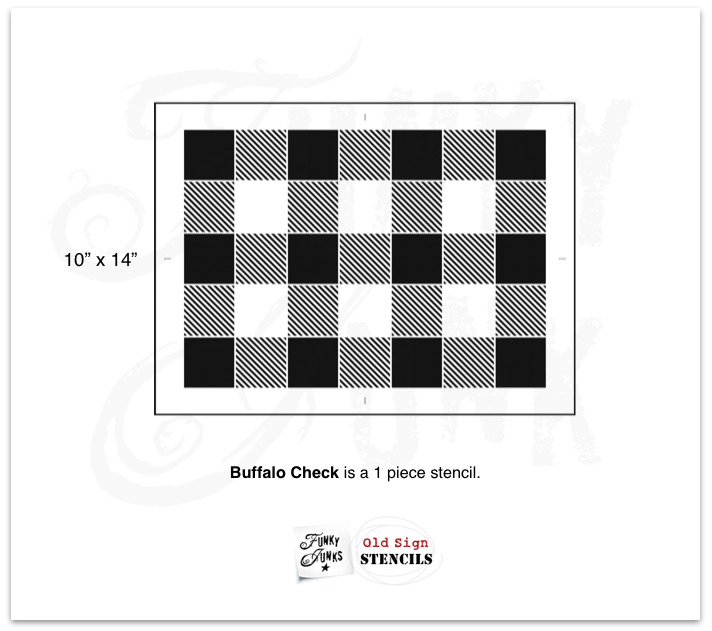 After my stocking was dry, I pulled out my *Old Sign Stencils Buffalo Check stencil, along with Fusion Mineral Paint in Coal Black . 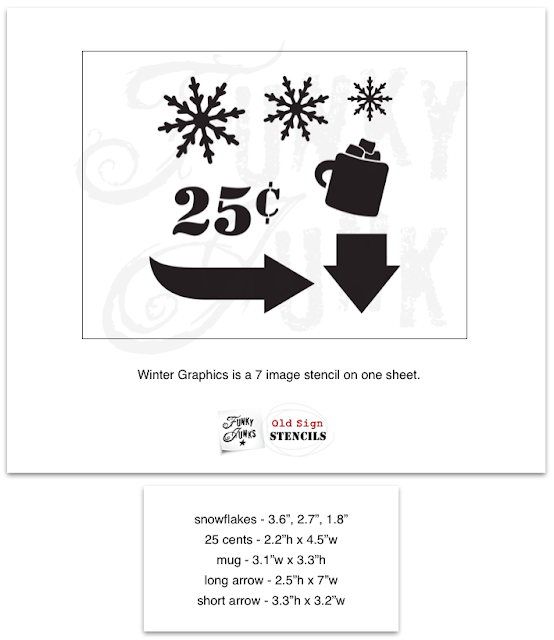 *Old Sign Stencils provided me with complimentary samples. All opinions about these fabulous products are my own. 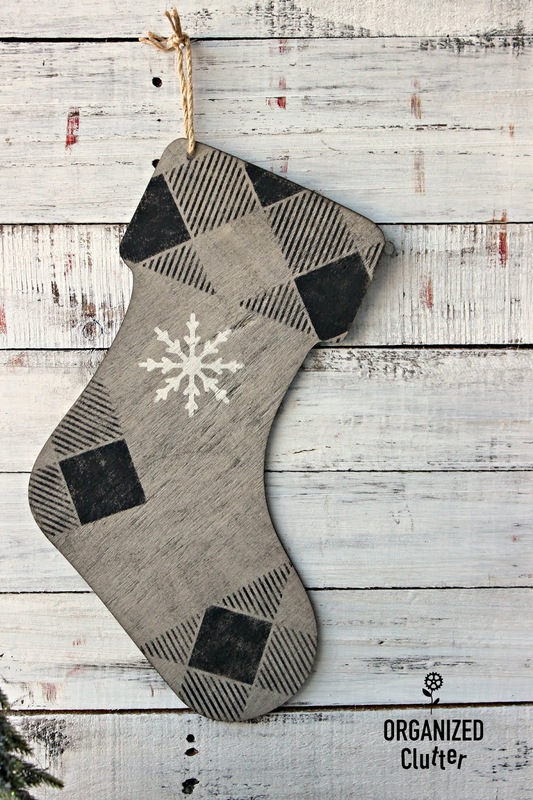 I positioned the stencil on the stocking and used blue painter's tape to stencil on only the top cuff of the stocking. I stenciled the toe and heel as well, taping off just a portion of the stencil. I then used the Winter Graphics stencil from Old Sign Stencils to add the medium snowflake with Fusion Mineral Paint in Champlain . 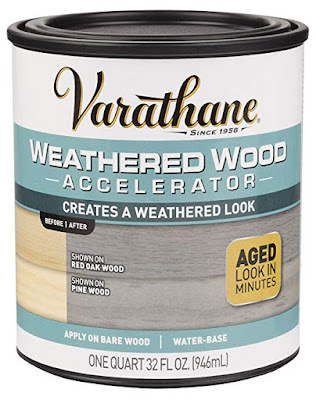 I did not seal the stencils or Weathered Wood Accelerator. 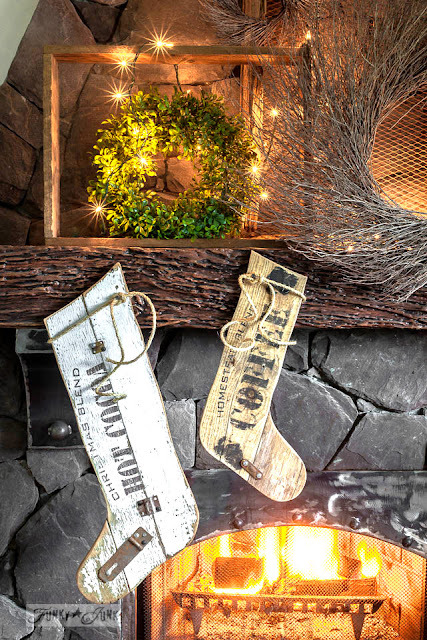 I tied the jute string hanger back on the stocking, and hung it up! 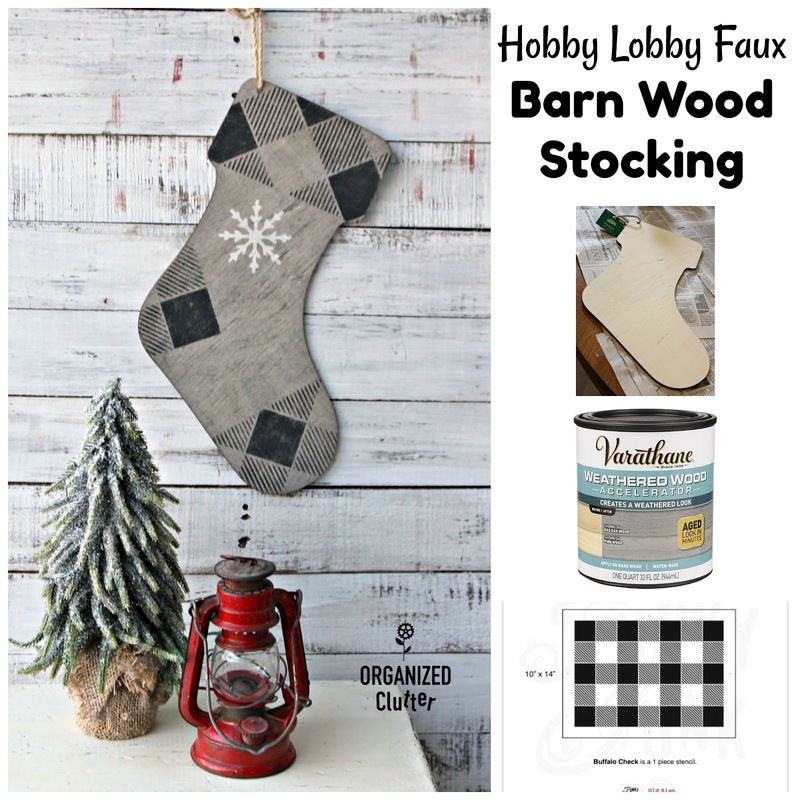 Not as rustic as real barn wood! 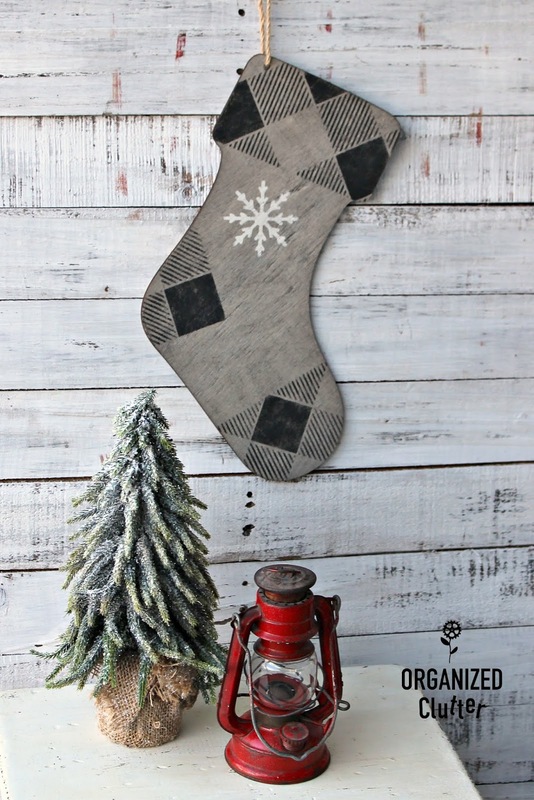 But a pretty dramatic transformation for a Hobby Lobby stocking! 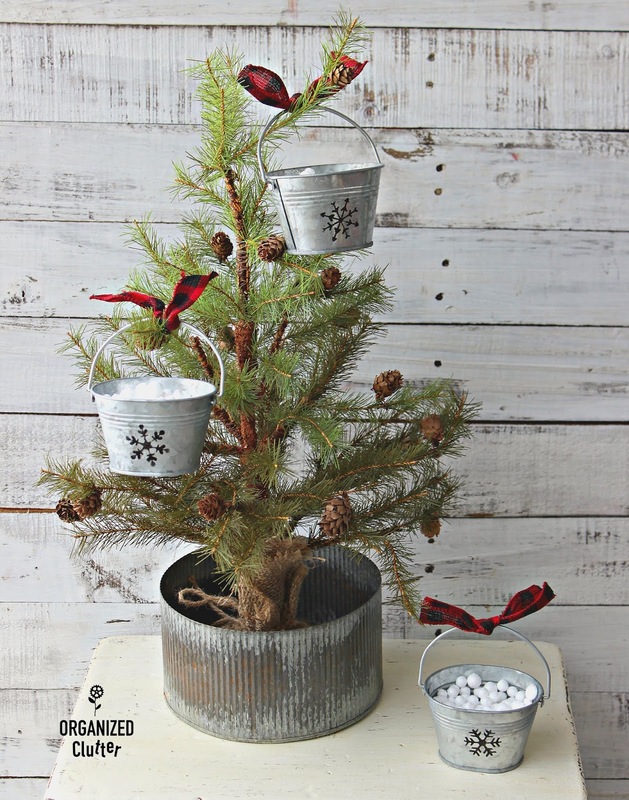 Here is another easy Hobby Lobby Craft project. Now that’s really cute Carlene!